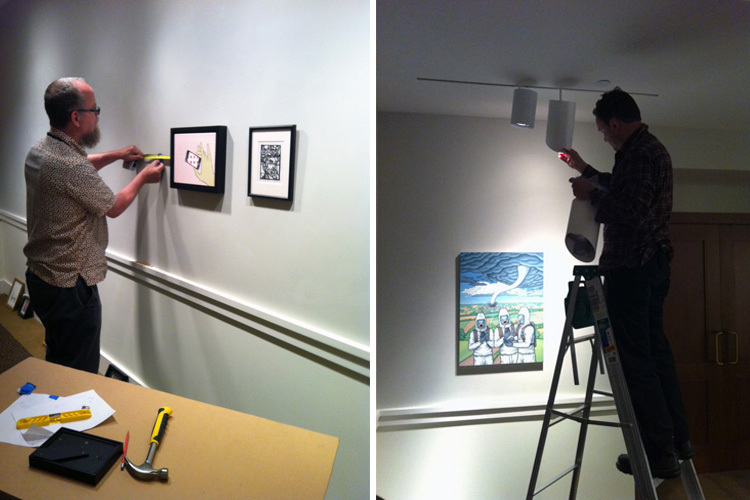 In addition to the Van Gogh Repetitions exhibition, Phillips preparators have been busy this month installing for the annual Staff Show. (Left) A Phillips preparator measures and hangs artwork. (Right) Lights are adjusted to highlight a piece. 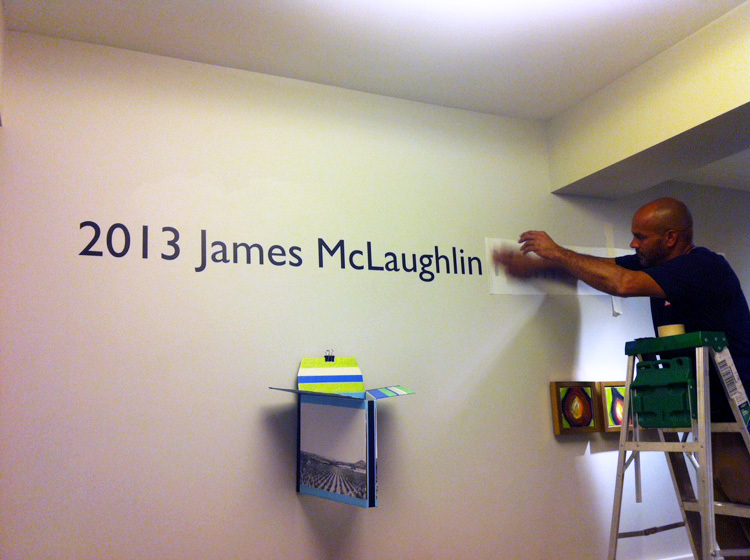 The 2013 James McLaughlin Memorial Staff Show will be on view September 23, 2013 through October 20, 2013. The show features artwork from Phillips Collection staff. Please join us for the opening reception on October 10, 2013 from 5-8pm. Vinyl is installed as the finishing touch. This entry was posted in Experiment Station and tagged art installation, behind the scenes, installation, preparators, staff show, van Gogh. Bookmark the permalink.